Studies: Summer 5772 - Rabbinical College of Australia and N.Z. The Torah is multi-layered, yet one. At Yeshivah Gedolah, the study of Nigleh (the revealed dimension of Torah) and Chassidus (the inner dimension of Torah) are fused together. Below is a brief synopsis of recent studies at the Yeshivah. This semester, Talmud studies at the Rabbinical College focus on the laws of slavery, the methods of acquiring and emancipating slaves, and their ethical treatment. In our times, the Torah’s laws of slavery are mostly theoretical. According to the Torah itself, the laws of slavery are practiced only during the times of the Yovel (Jubilee), the observance of which ended thousands of years ago. Nevertheless, the laws of slavery have many practical ramifications in Jewish law today, primarily with regards to the various modes and aspects of Kinyanim (legal processes of acquisition) in general, as well as the rights and obligations inherent in the employer-employee relationship. Many aspects of the master-slave relationship are far from ideal. Even whilst permitting it, the Torah frowns upon selling oneself into slavery. Yet, a central tenet of our faith is that all of Torah is relevant and eternal. What significance does the concept of slavery have in our times? Beneath the legalistic application of Torah law lie many layers of meaning and spiritual instruction. While it is true that we would rather not be enslaved to other mortals, the Torah teaches that one must strive to be a servant of G‑d. Chassidic thought teaches that our relationship with G‑d operates on three levels; it mirrors a father-son relationship, a husband-wife relationship, and a master-slave relationship. We connect with G‑d because we feel inseparable from Him, because we love Him, and because we feel a sense of duty towards Him. A slave accepts the will of his master even if he does not understand it. His labours are not driven by his own feelings of self-worth and personal fulfilment. His personal emotions do not play any role in attaining the will of his master. A servant of G‑d makes G‑d's will his own. And, during the process, he breaks free from the bonds of enslavement to his own emotional and physical drives. Therein lies the value of the master-slave relationship. "I have come to My garden, My sister, O bride." These words, appearing in Shir Hashirim (Song of Songs 5:1), are the opening phrase of the Maamar (Chassidic discourse) that was distributed on the very day that the previous Lubavitcher Rebbe passed away. In the years and decades that followed, the present Lubavitcher Rebbe marked the yahrtzeit by delivering a Maamar entitled Basi L’gani, always based on a different chapter of the original discourse penned by his predecessor. In honour of the auspicious day of Yud Shevat, the Chassidus curriculum at the Rabbinical College incorporated two of these Maamarim. One major recurring theme of these discourses is that G‑d views our world as His garden. Of all the countless spiritual emanations and realms, there is only one place which He refers to as “My garden.” It is precisely within our physical world that G‑d wishes to reside, and manifest His very essence. © Rabbinical College of Australia & New Zealand website. This article may be reproduced with prior permission. 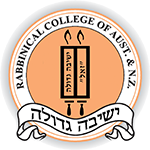 For more information, please contact us at news@rabbinicalcollege.edu.au.